Appendix M - Radio Related Acronyms in this web page. On February 1, 1968, the government of the day amended the National Defence Act to unify the Canadian Forces. In that process, the identities of the Royal Canadian Navy, the Canadian Army, and the Royal Canadian Air Force ceased to be used and were replaced by Maritime Command, Land Force Command, and Air Command. 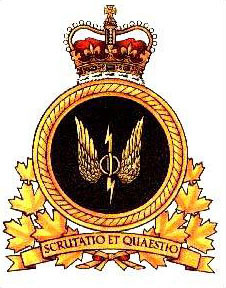 On August 16, 2011, The Honourable Peter MacKay, Minister of National Defence, announced that the Government of Canada has restored the use of the historic designations of the three former services: the Royal Canadian Navy (RCN), the Canadian Army (CA), and the Royal Canadian Air Force (RCAF). As a result, any reference to the Canadian Navy or Maritime Command should be read as RCN in these web documents. The same goes for the Air Force. Any reference to Air Command or Canadian Air Force should be read as RCAF. 2019/02/04 - Added CFARS document. 2019/02/18 - Added JAWS Five year report (1946 to 1951) to Alert document. 2019/04/15 - Added Appendix M - Radio related acronyms. Added Appendix N - Canadian Military Communications History. The material in this document is copyrighted by Jerry Proc and no part of this document may be reproduced for commercial purposes in any form, whether by printing, photocopying, or other means without permission.